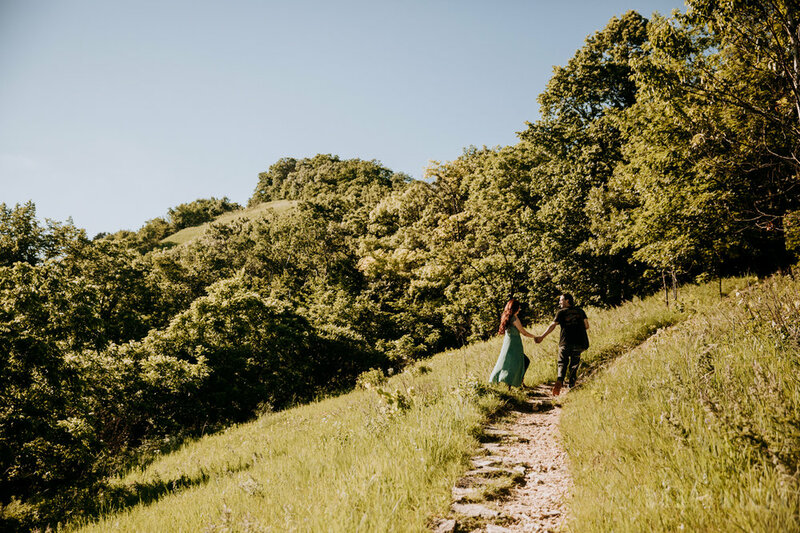 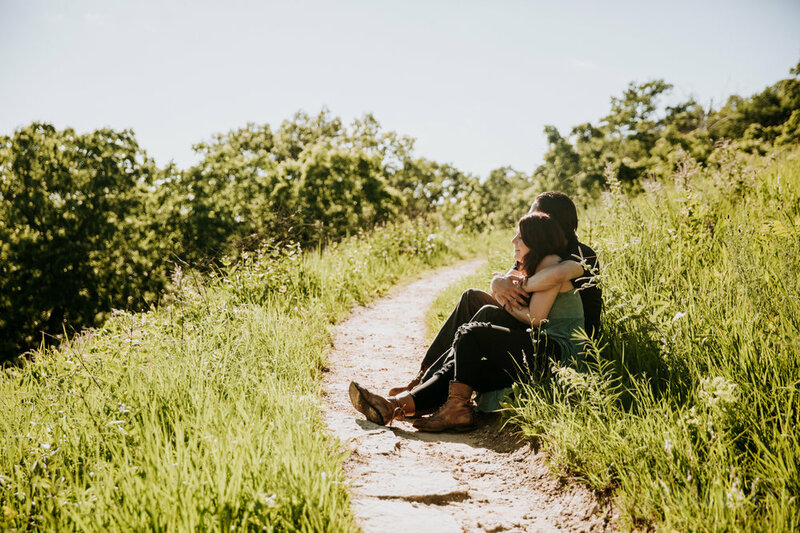 Ashley & Frankie explored Perrot State Park, traversing the massive cliffs, dense forest terrain & beautiful hillsides for their adventurous engagement photos! 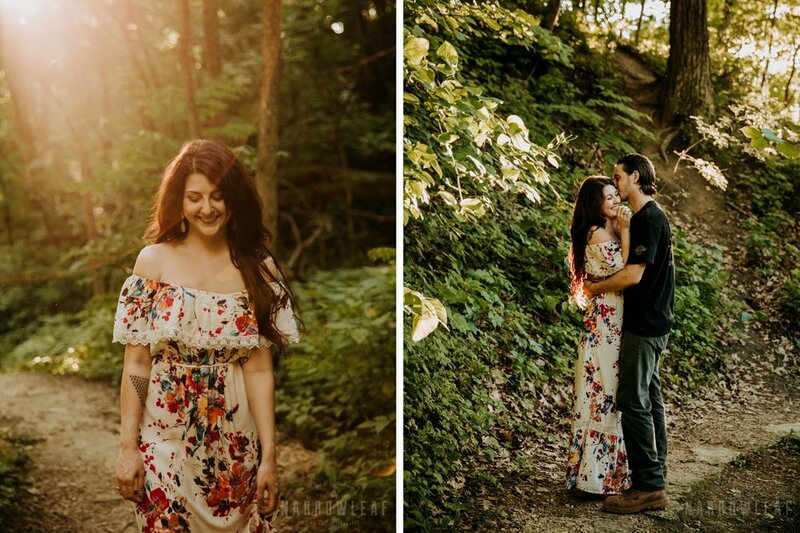 This couples love for each other flows wild & free! 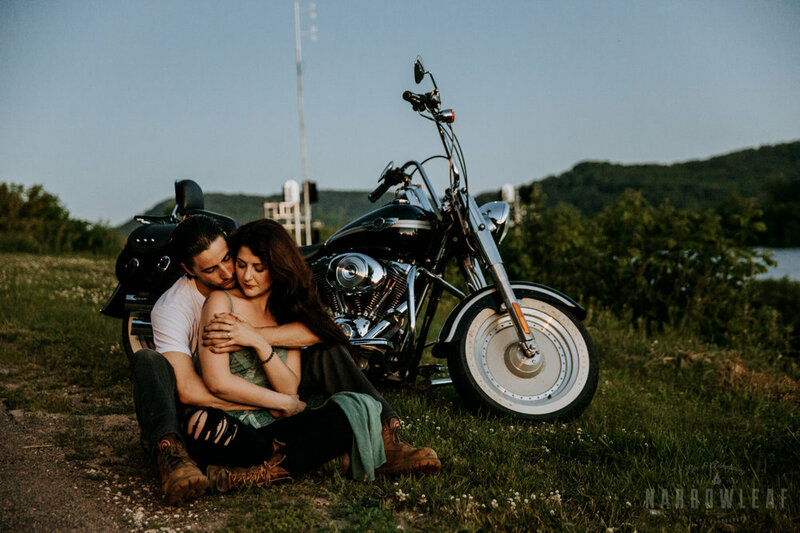 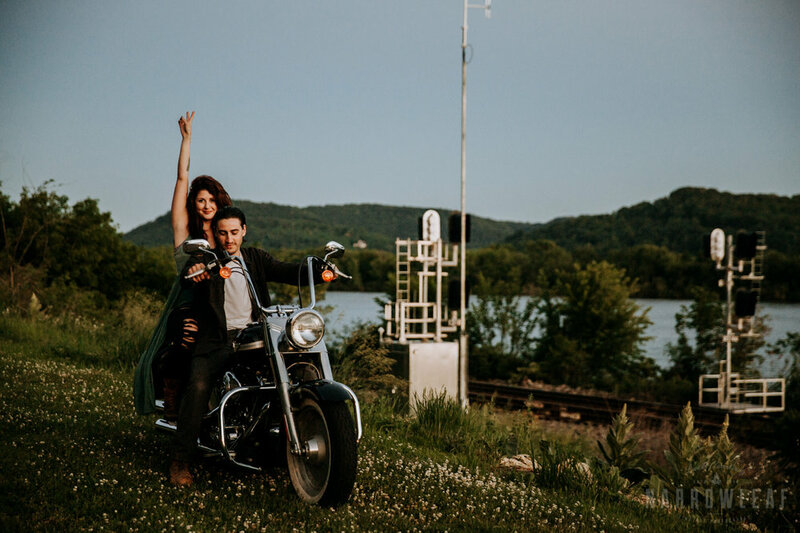 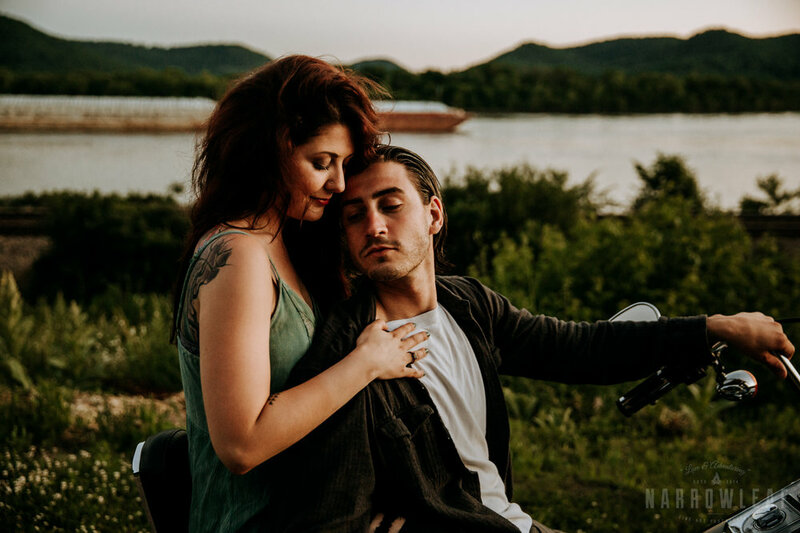 Frankie drove his Harley over 3 hours for this shoot, as sunset approached we refueled with some veggie sushi, hummus & so much water, totally tailgating style! 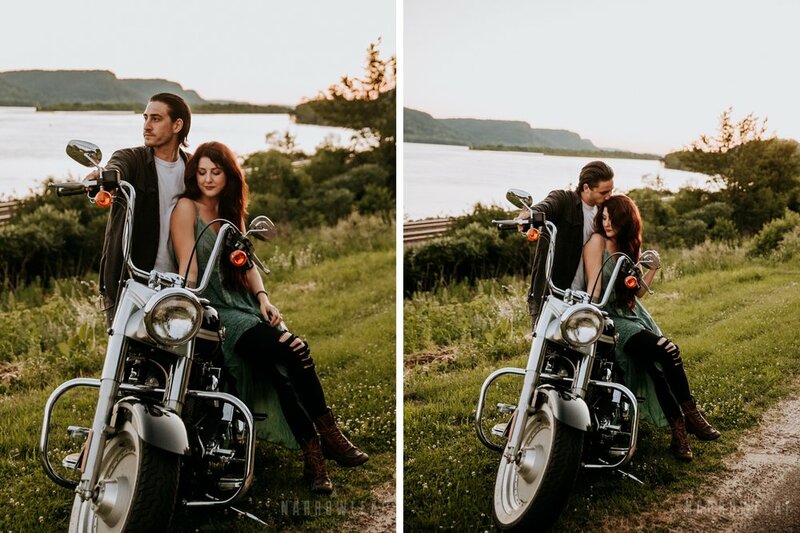 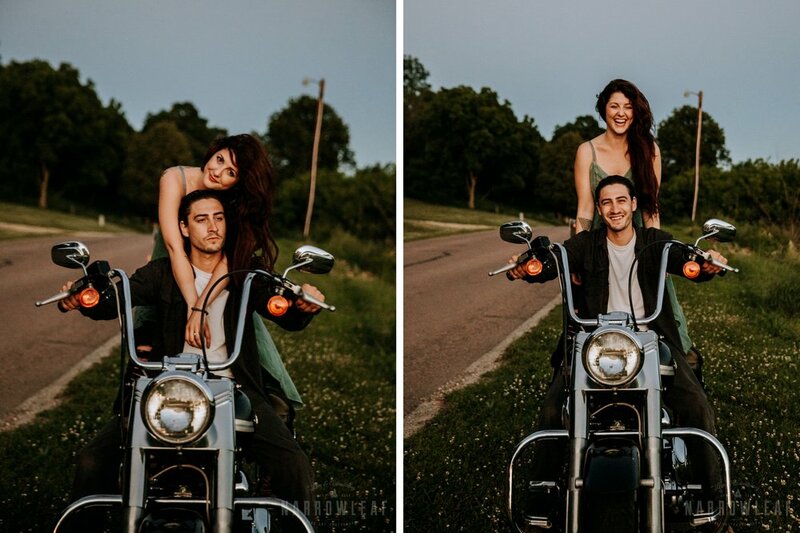 Some of my favorite shots from their session were the intimate final moments of sunset on the bike! 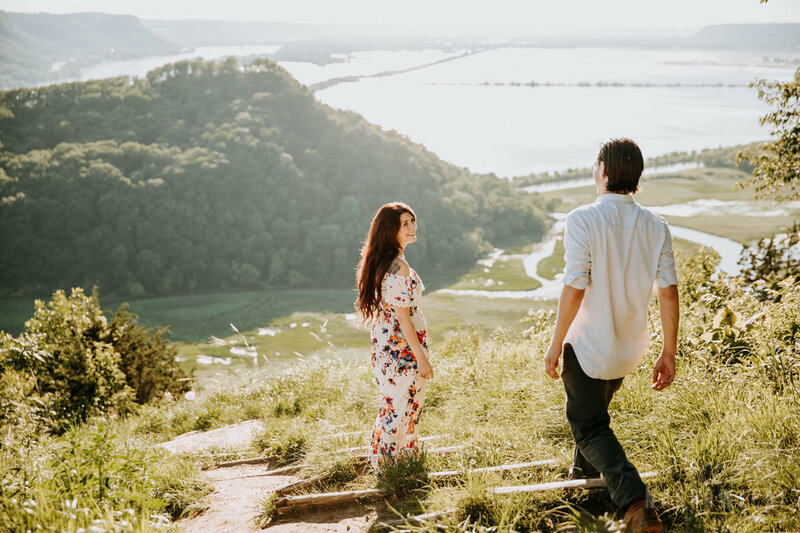 Trempealeau, Wisconsin did not disappoint, if your looking for an adventure, definitely check out Southern Wisconsins' Perrot State Park, I for one cannot wait to go back there! 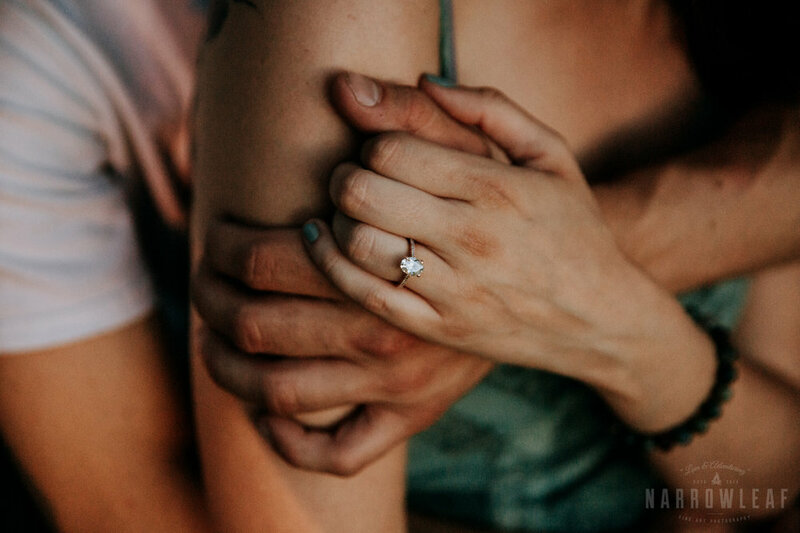 Update // Check out their boho inspired mansion wedding HERE!